Relax and enjoy your day! 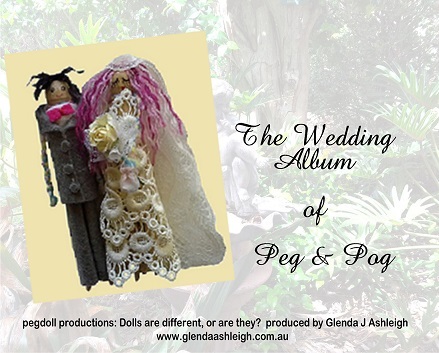 Your Wedding will sparkle with love with Glenda Ashleigh, Brisbane Marriage Celebrant. As an experienced Marriage Celebrant, I blend the legal sections in the Marriage Act, 1961 required for two people to marry in all wedding ceremonies. This means that all parts of the ceremony flow naturally and seamlessly, and fit smoothly into your wedding ceremony style. Together, we plan your delightful Brisbane wedding ceremony that is just right for you! Delight in your unique wedding ceremony and the happy moments you share with family and friends on your special day. 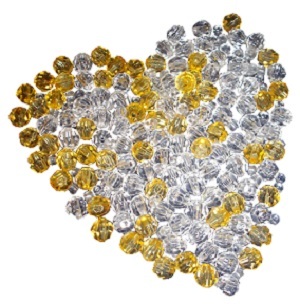 A Diamond Heart Wedding ceremony for all styles of weddings. Is your wedding style formal, informal, casual, or do you have a special theme? Celebrate in a delightful Diamond Heart Wedding ceremony with Lovely Personal Wedding Vows and Special Personalised Rituals that make your special day full of happy moments. Contact Glenda here for your Diamond Heart wedding! A Bright Heart ceremony that is short and sweet with just a few close family and friends. A Bright Heart wedding ceremony is perfect for a ‘Registry Office Style‘ wedding. A simple Bright Heart Wedding ceremony that is just right for you. ‘Elope‘ in an intimate and romantic wedding if you prefer! An elopement ceremony has just the two of you, two witnesses and me, your Celebrant. 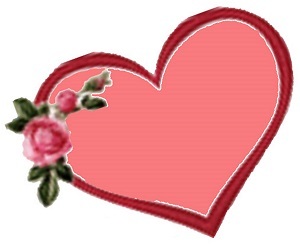 Contact Glenda here for your Bright Heart wedding! Date – any day of the year, including public holidays. Time – any time: morning, daytime, or evening. Venue – anywhere: indoors, outdoors, garden, chapel, private home, function centre, park, beach, on a boat, ship or in an aircraft! I answer questions promptly and expertly, and prepare all legal documents for your ceremony and to register your marriage. You relax and enjoy stress-free planning for your special day. Here are some quick links to great information on other pages of this website that get right to the point. Know the facts. Get correct information! Contact me here for the ceremony that is just right for you! Namings, Commitments, Renewal of Vows, Celebrations of Life. These other civil ceremonies do not follow any specific religious or faith-based rituals or rites. Create the ceremony that you want, and if you want to include religious or faith-based rituals, you can! You choose not only readings, poems or prayers, but also particular cultural rituals and traditions in your civil ceremony. You also choose the music, songs and anything else that adds to the spirit of the ceremony. This means that you have the ceremony that you wish. Contact Glenda here for these other civil ceremonies!